Golden straw color. Inviting aromas of homemade iced pear pie and caramelized crushed pineapple with a slightly chewy, crisp, fruity medium body and a sleek, interesting, medium-long buttery crumble, nutmeg, toasty oak, and wet stone finish with coating tannins and heavy oak flavor. An appealing, lengthy and oaky Chardonnay. 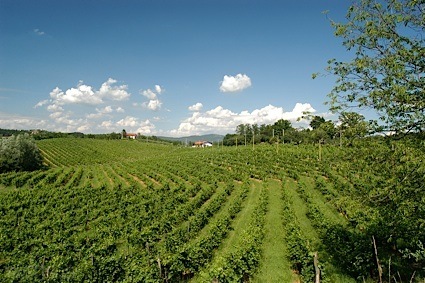 Bottom Line: An appealing, lengthy and oaky Chardonnay. 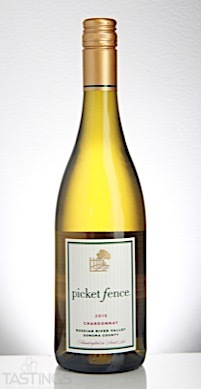 Picket Fence 2015 Chardonnay, Russian River Valley rating was calculated by tastings.com to be 93 points out of 100 on 10/6/2017. Please note that MSRP may have changed since the date of our review.